The Life-Phorm can clamp onto pretty much anything while holding your devices. 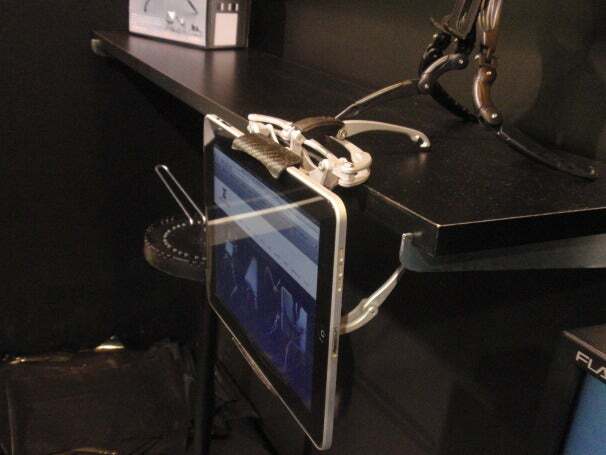 Need to hang your tablet from the back of the front seat for the kids? No problem! 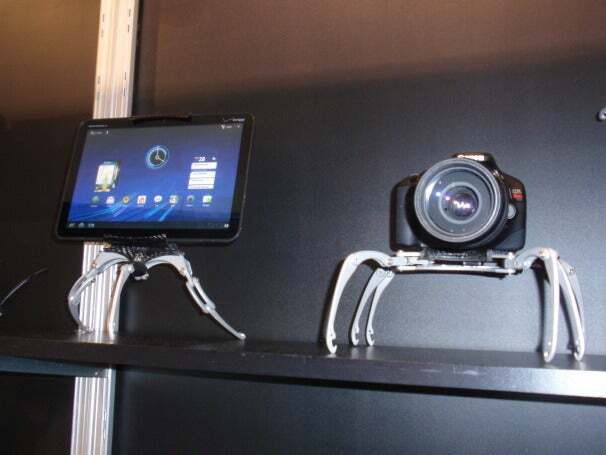 The spider-like Life-Phorm can hold nearly any size tablet, phone, or camera. 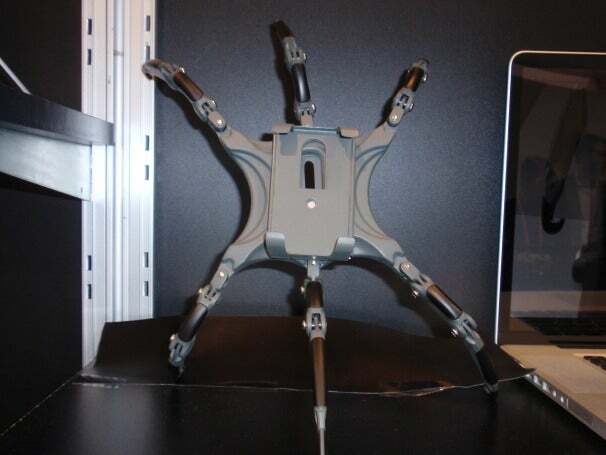 Built by Michigan-basedLethal Protection, the Life-Phorm comes with six spider-like legs with hinges--for bending and tightening around objects--that are each about 6 inches long. The legs can grip on to the back of a car seat, a table, the display on your workout station, or even your own leg. The Life-Phorm can grip onto pretty much any object with an edge, so that you can mount your electronics and watch away. The legs allow the Life-Phorm Pro support up to at least 22 lbs and are made from 6061-Aluminum (which is considered "aerospace grade"). The Life-Phorm also has an adjustable carbon-fiber mount that can expand to accomodate almost any tablet or camera. It has an adjustable screw for tightening the mount and holding your device. The Life-Phorm also has a mounting screw for cameras. This week at CES, Lethal Protection showed off its newest version of the Life-Phorm, which is designed to be extremely light. 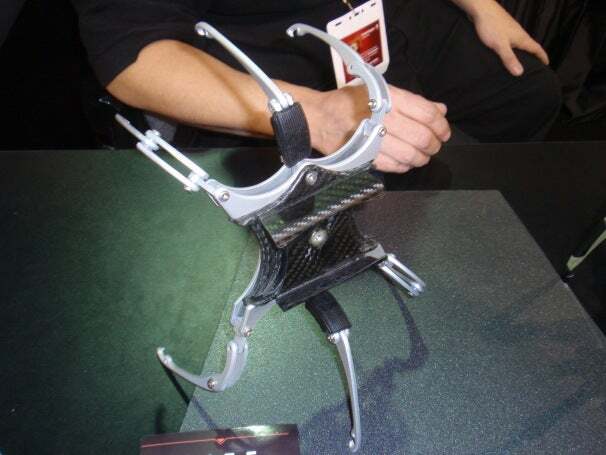 The legs are made from injection-molded Delrin (a type of plastic) with sheet metal inserts for added strength. Right now, this Life-Phorm is just a prototype, but the company says it'll soon be available for pre-order. You can pre-order the Life-Phorm Pro (the metal one) for $149.99.